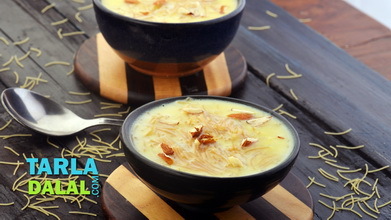 You all must have enjoyed the traditional Indian kheer. 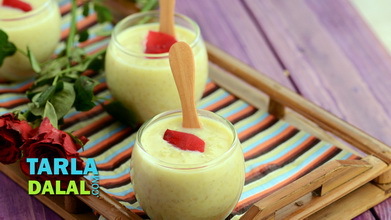 Now try this traditional recipe in my healthy way to satisfy your sweet tooth occasionally. 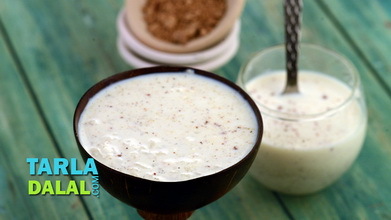 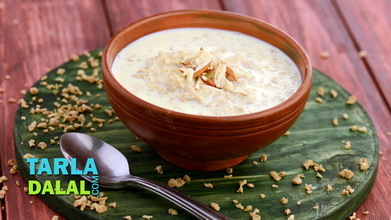 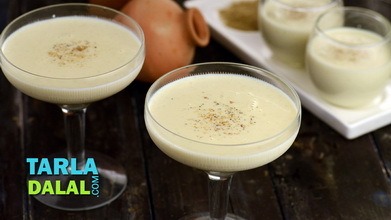 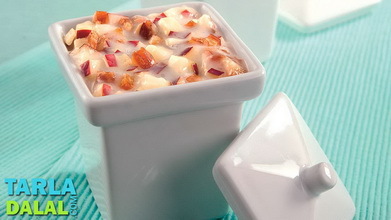 The recipe makes use of fibre rich doodhi and low-fat milk, which is easily available to all the grocery stores. 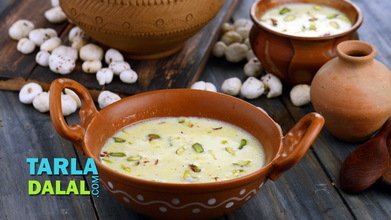 Combine the milk and bottle gourd in a deep non-stick pan, mix well and cook on a medium flame for 10 to 12 minutes or till the bottle gourd is cooked, while stirring occasionally and scarping the sides of the pan. 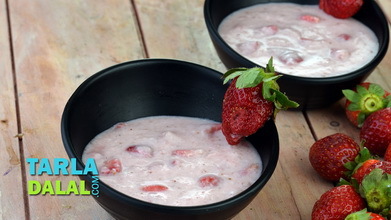 Add the sugar, mix well and cook on a medium flame or another 1 to 2 minutes or till the sugar dissolves completely. 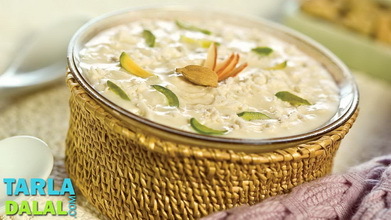 Keep aside to cool completely and refrigerate for at least 1 hour.